It is our pleasure to introduce the Shongololo Club. A majority of our guests see a trip with us as a ‘once in a lifetime experience’. However, many of them – once they have travelled – feel that the experience should be repeated and shared. We also have our train enthusiasts who find train travel to be a necessity of life. Throughout our decades of operation we have always aspired to maintain a high standard of personal service whilst meeting the individual needs of our valued guests. The Shongololo Club is an extension of this policy as it gives us the opportunity to thank all of our ‘Repeat Offenders’ for their support and loyalty through a personalised incentive-based programme. Here you will find the discount structure for club members (see downloads). Second-timers are eligible for registration and thereafter (from trip 3) the incremental discounts apply to the number of journeys travelled. These discounts are available to club members only and are subject to availability. Discounts are not applicable when special rates, charter rates or event rates are booked. As a returning guest, club members are also entitled to a 10% discount at our St James Guesthouses in Cape Town. 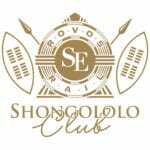 Official website of the Shongololo Express operated by Rovos Rail | © Rovos Rail. 2019. Designed & developed by Wonderland Collective.